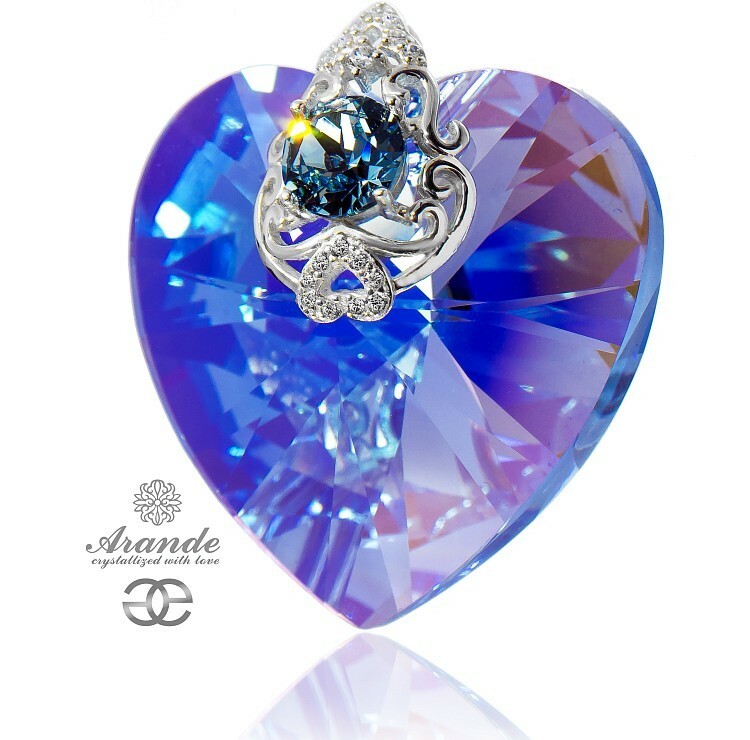 Original large crystal HEART in beautiful opalescent LIGHT SAPPHIRE AB and AQUA color. 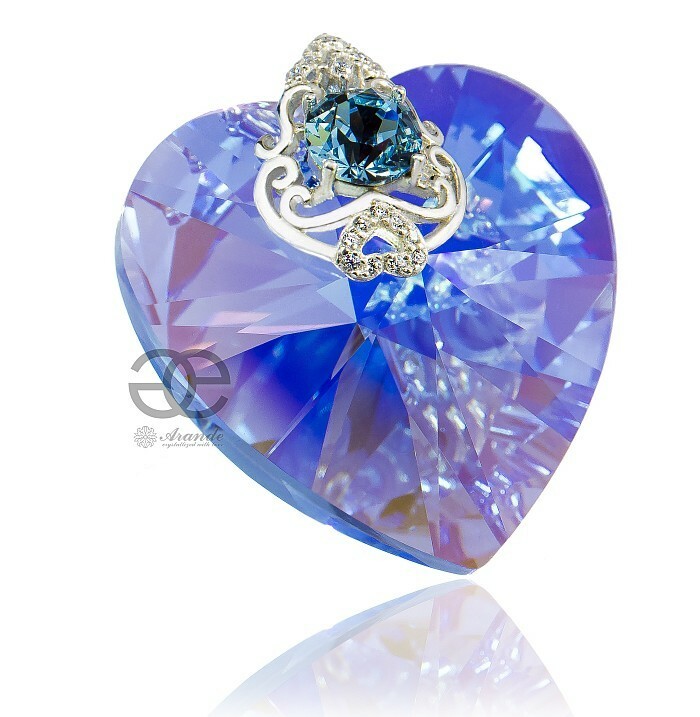 Added with beautiful sterling silver element set with Swarovski crystals. Silver elements made with sterling silver 925. The stamp is marked on the clasp.